Actor Siddharth is popular for his loverboy roles and most of his superhits were love stories and he has a decent fan base among female moviegoers across the country. Siddharth also turned producer with bilingual romantic drama, Love Failure, which released in 2012. After 3 long years, Siddharth has finally made a come back to production and released the first look of his second production, Jil Jung Juk. 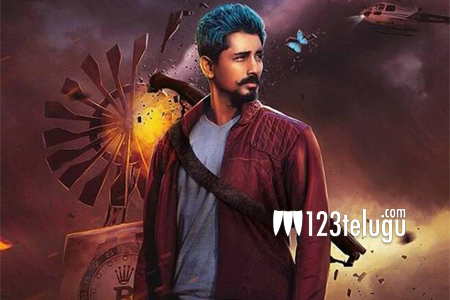 Jil Jung Juk is an action-comedy and Siddharth’s interesting image makeover from a loverboy to a rough and massy hunk turned everyone’s attention towards the film. Jil Jung Juk is directed by newcomer Deeraj Vaidy.